Chris previously served in various senior executive positions, including Vice President with Mr. Handyman International. Chris is a firm believer in franchising and the franchise model, having gained this belief through his experience as a franchise executive and by owing his own franchise. Chris owned and operated a successful Mr. Handyman franchise and knows firsthand the critical importance of having a world class training, marketing and operational support programs in place for franchise owners at all levels of the system. This experience and expertise are important as Caring Transitions continues to grow and develop as the No. 1 provider of senior relocation, downsizing, organizing, household liquidation and estate sales management services in North America. 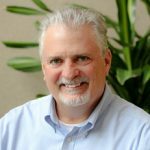 With more than 25 years of Finance and Tax experience and senior management responsibilities with global brands such as Procter and Gamble and Rockwell International, Joe ensures our continued financial success as Caring Transitions CFO. His dedication and thoroughness serve as the secure foundation as Caring Transitions continues to grow into ever expanding markets. Before joining Caring Transitions as the Senior VP of Franchising, Steve Kwon already had a successful history in franchising, taking emerging companies and turning them into national powerhouses. 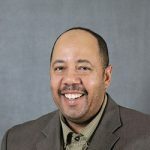 For more than 20 years, his boundless energy and contagious enthusiasm has catapulted the franchises he has touched into unprecedented new heights – such as Mathnasium, which became a premier afterschool supplemental education franchise under his leadership as VP of Franchising. 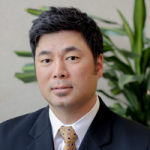 Mr. Kwon brings his high-octane leadership style to Caring Transitions as the Senior VP of Franchising. Bringing all of his previous experience and pairing it with his seemingly endless energy and drive, Mr. Kwon and his team are helping hundreds navigate their path to business ownership through the Caring Transitions franchise. Bobby has been helping people achieve their dreams of running their own successful, meaningful business through Caring Transitions franchises for more than seven years. He is completely invested in helping entrepreneurs find their niche so that they succeed in their goals of business ownership. 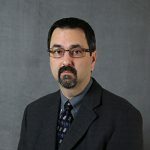 Greg enjoys advising and assisting potential franchisees with the proper information needed to achieve the "American Dream" of becoming a business owner. 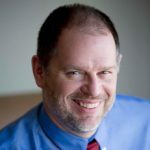 Greg's experiences range from being a past business owner of one of the first New and Used Computer Stores in a Retail Mall, over 20 years of management, primarily in healthcare, and 5 years in retirement planning. He plans to leverage his experience and education in making sure my clients achieve their goals. Greg graduated from Wilberforce University B.S. In Organizational Leadership. 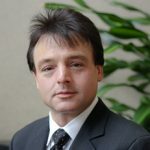 25 years’ experience in Operations, as not only as a Manager, Director and business coach, but a business owner. 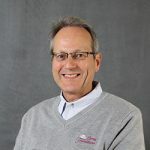 Throughout his career and since joining the Caring Transitions Team initially in 2009, Joe has had the pleasure of working with hundreds of small business owners in and out of the franchise industry, helping them to achieve the dream of owning and operating a successful business. Having been a business owner himself, he truly believes that the only thing better than owning his own business is helping others to navigate their way to the independence that owning a successful small business can bring. While working in and with small businesses, he has been able to successfully coach business owners in the areas of marketing, networking and relationship building, training development, pricing structure, client intake, operations, profitability, and time management. Brand advocate extraordinaire, Tiffiny thrives on establishing the brand vision and providing strategic direction to cultivate audiences by providing effective marketing solutions to drive revenue, profitability and brand equity. She possess a keen understanding of consumer trends, especially as they relate to diverse genres, modes of consumption and viewer demographics. Previous professional experience includes brand marketing various Fortune 500 & 100 companies including Luxottica, Kenner Toys & Procter & Gamble and has owned her own retail store: Tiffiny’s Catwalk – a swanky upscale boutique for the unique and the co-owner of a family restaurant business, Margarita’s Mexican Restaurant, franchising 4 of the 8 units. A graduate from University of Cincinnati, Ohio’s school of Design, Art, Architecture & Planning. 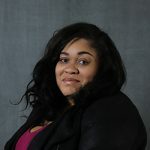 Chrissy Redd is a native Ohioan who serves as the Digital Marketing Manager for Caring Transitions. She is passionate about the benefits of effective communication and marketing for businesses and organizations. She has worked as an educator and marketing expert in various capacities for close to ten years. Some of her most notable projects to date have been her partnership on a diversification strategy team for the Dayton Police Department’s 2013 recruitment campaign and her work with community causes like Zion’s Kitchen and Department of Justice grant awardees. Chrissy holds a Masters of Arts with a focus in Digital Media Marketing and a Bachelor of Arts in Communications from Bowling Green State University. She also works as an Adjunct Professor in the Cincinnati area and online. 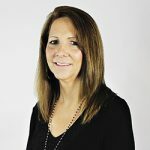 Sherrie has almost 20 years of franchising experience with such well-known companies as Sylvan Learning and Luxottica; she also has experience in running her own business as an entrepreneur. She has seen what leads to successful business ownership, and she now brings that wisdom to Caring Transitions as our Sr. Operations Manager. She sets out reasonable, attainable goals and provides the knowledge and guidance to, not only meet, but exceed them. Joel graduated from The Ohio State University with Production & Operations and Human Resource majors, and has since also earned an MBA from the University of Cincinnati. Joel has served as the Operations Manager at Caring transitions since 2011, and loves his job. He owned and operated a Gymboree franchise himself for 17 years before selling it and discovering his next passion: helping others find that same success. 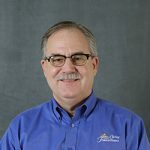 Jeff continues coaching Caring Transitions franchisees through the duration of their time as business owners as our Operations Manager. With over 40 years of Retail Management, his knowledge and experience is invaluable to our brand and his franchisees. Jeff experiences immense pride and joy in helping our entrepreneurs exceed their expectations and live their dreams as business owners. 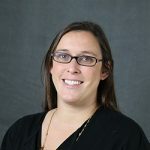 Beth Clark is a graduate of The Ohio State University and has twelve years of professional experience ranging from software development to infrastructure installs. 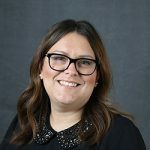 She joined the Caring Transitions team out of a desire to be a part of a growing industry with a company whose genuine mission is to help people. With her desire to help others and experience using and creating the technological tools to do so, she is an invaluable member of the Caring Transitions’ team! 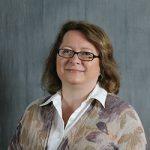 Paula has over 25 years of experience in Administrative Support, specializing in Sales and Project Management. 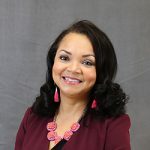 Additionally, she has extensive experience in Customer Service, which she now uses at Caring Transitions to aid the team in our Sales Process, ensuring all of our work is finalized perfectly. Mary Ann is our Office Coordinator and the voice you’ll hear whenever you call the Caring Transitions office in Cincinnati. She has several years of experience in the advertising industry with reports, graphics, and support. Mary Ann coordinates with all of our staff in various projects, and also assists both existing and potential franchise owners find the right expert to get their questions answered.